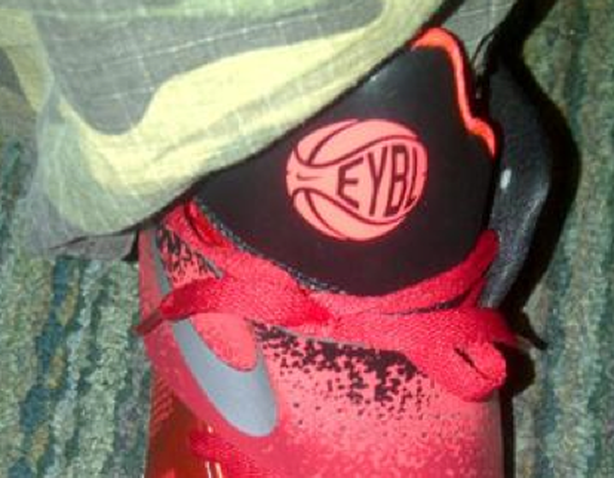 Last year’s EYBL collection ranged in at least 8 different colorways of the Nike Hyperfuse Low. This time, we’ve been seeing the Nike Zoom KD IV edition of the EYBL series, in a Blue and Black colorway and now we take a look at the Red and Black make up for the first time. 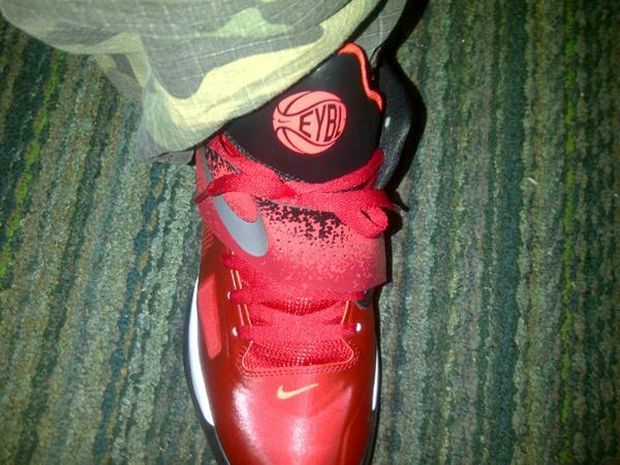 Like the previous colorway, this Nike Zoom KD IV sports a lava splatter on the strap, in a Red and Black color. These are surely to be put in the “Neck Breaking” category, but unfortunately, the only individual sporting these is Jose_stfu on twitter.